PV systems harvest the energy from the sun, convert it to electricity and use it to power household appliances and lighting. The systems don’t require heat or full sun to work therefore they continue to generate energy 365 days a year. The most obvious benefit of installing solar PV in your home is the environmental impact, reducing your households carbon footprint significantly. 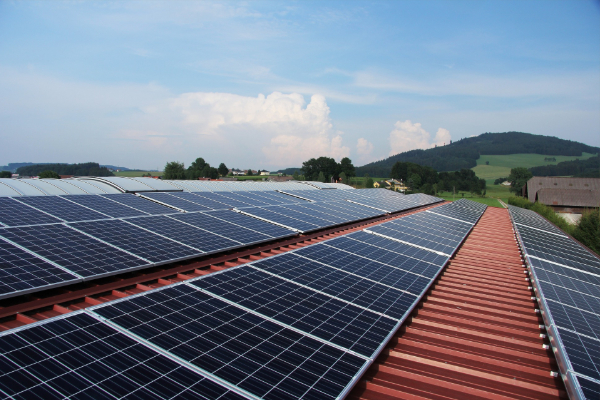 A typical household could reduce their carbon output by 1.2 to 1.7 tonnes a year by installing a PV system. After the initial outlay for installation the cost benefits are also significant. Electricity bills are dramatically, if not completely reduced. The FiT scheme (see below) also provided a source of income, providing a quicker means of recouping the installation costs. PV households not only get paid by the government for the electricity they generate and use, the can also benefit from additional payments by selling un-used energy back to the grid.